For those of you who want to push availability data to sites like Airbnb or Google Calendars, we now publish an iCal feed for all properties. 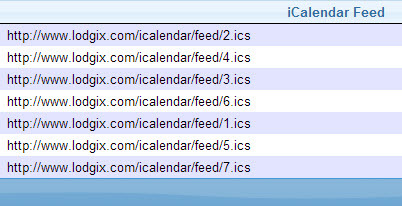 The feeds can be found under Settings > Marketing Partners > Review Offers under the “iCalendar” Tab. In your Airbnb account, go to Calendar mappings and paste the URL. Your availability data will then sync from Lodgix to Airbnb. For more info on the Airbnb iCal feature: https://www.airbnb.com/help/question/hosting/99.